Pulse Research Project of Bangladesh Agricultural Research Council (BARC), Plant Pathology Department, Bangladesh Agricultural University (BAU), Mymensingh 02-02-1978 30-12-1979 Preparation of research programmes on the diseases of pulse crops, active research, writing research reports etc. Plant Pathology Division, Bangladesh Agricultural Research Institute (BARI), Joydebpur, Gazipur 31-12-1979 20-06-1983 Preparation of research programmes on the diseases of horticultural crops, active research, writing research reports etc. Plant Pathology Division, Bangladesh Agricultural Research Institute (BARI), Joydebpur, Gazipur 21-06-1983 07-06-1987 Preparation of research programmes on diseases identification of pulses and vegetables, management of research projects, active research reports writing etc. Department of Plant Pathology, Bangabandhu Sheikh Mujibur Rahman Agricultural University (BSMRAU), Salna, Gazipur. 30-12-1992 27-06-2000 Regularly teaching different subjects of Plant Pathology to the M.S. and Ph.D students and supervising M.S. and Ph.D. students as Major Professor, active research on Plant Viruses mainly and also Bacteria & Fungi. Department of Plant Pathology, BSMRAU, Salna, Gazipur. 28-06-2000 Continuing Planning, Development, Execution and Monitoring. Regularly teaching different subjects of Plant Pathology to the B.S., M.S. and Ph.D students and supervising M.S. and Ph.D. students as Major Professor, active research on Plant Viruses mainly and also bacteria & fungi. 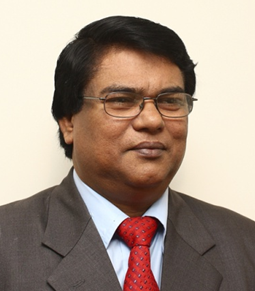 vii) Vice-Chancellor Bangabandhu Sheikh Mujibur Rahman Agricultural University (BSMRAU), Gazipur 11-03-2009 10-03-2013 Chief executive of the university Academic and Administration. vii) Vice-Chancellor Exim Bank Agricultural University Bangladesh, Chapai Nawabgonj 22.07.2013 31-07-2016 Chief executive of the university Academic and Administration. i. Head, Dept. of Plant Pathology 16-05-1993 15-05-1995 Administration and Coordination of Departmental activities. ii. Head, Dept. of Plant Pathology 16-05-2000 15-05-2002 Administration and Coordination of Departmental activities. iii. Dean of Graduate Studies 15-05-2001 14-05-2003 Administration and management of academic and research activities of Post-graduate Students. iv. Head, Dept. of Plant Pathology 16-05-2004 15-05-2006 Administration and Coordination of Departmental activities. v. Dean, Faculty of Agril. Economics & Rural Development 22.10.2012 02.04.2013 Administration and Coordination of Departmental activities. vi. Head, Dept. of Plant Pathology 01-08-2016 Administration and Coordination of Departmental activities. i. Assistant Provost /Provost 16-05-1992 15-05-1996 Student Dormitory management. ii. Associate Director (Research) 11-07-1995 30-06-1997 Coordination of University research activities. iii. Director (Outreach) 01-07-1997 31-01-2000 Administration and management of Outreach activities of the University. iv. Proctor 01-05-2000 30-04-2002 Look after the student’s discipline. v. Director (Student’s Welfare) 14-05-2007 30-07-2010 Administration and coordination of extra-curricular activities of the university students. Students Counseling.